There are all sorts of meals that are quick to prepare, that you can stick in the oven for a few hours to cook while you do other stuff, which is then really yummy when it’s time to eat. 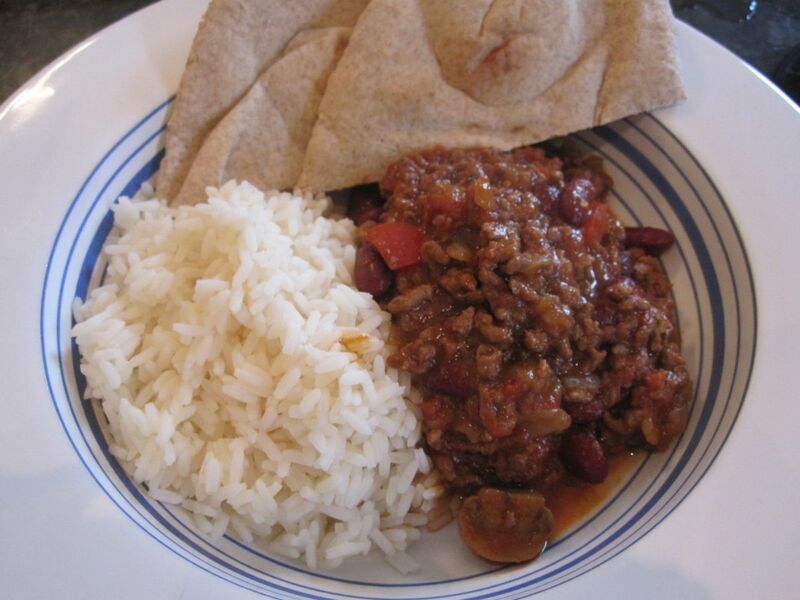 One of my favourites, other than a hearty sausage casserole, is a chili con carne. Its really easy to make. The first thing you need to do is dice the onions and then fry in some olive oil with the crushed garlic. 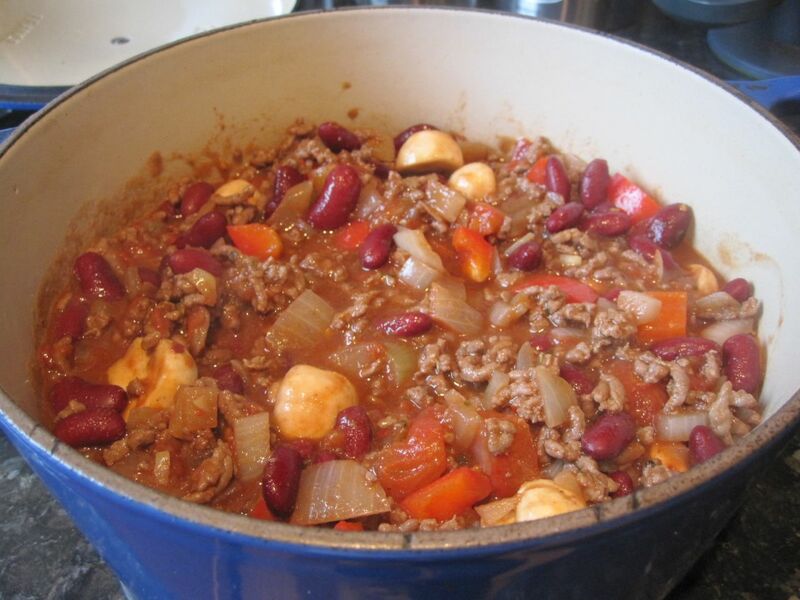 Once the onions have softened, add in the mince and brown it off. This is when I’ll sprinkle in some chili flakes and crumble in the OXO cube. Today I ended up pouring in some red wine at this stage to add to the flavour but that’s optional. 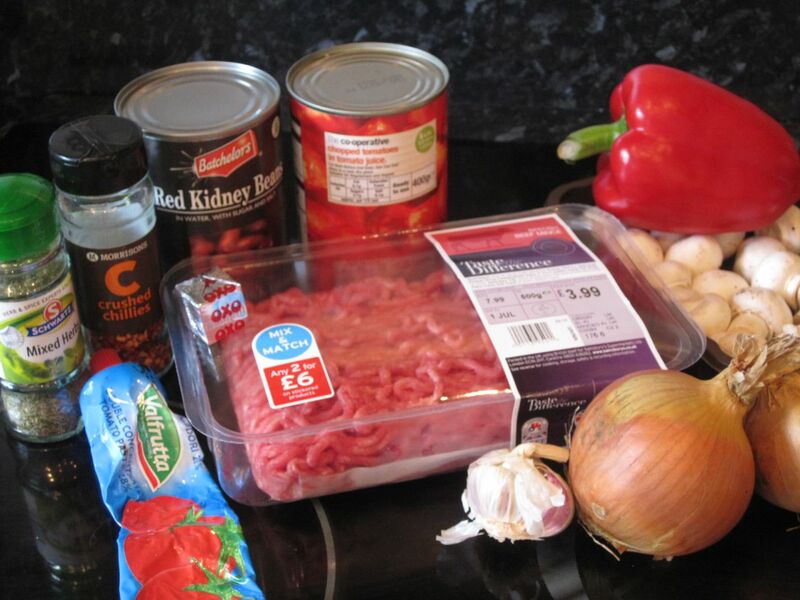 Once the meat is browned you can pretty much throw in the rest of the ingredients so stir in the chopped peppers and mushrooms, add in the tomatoes, tomato puree, herbs and the kidney beans. Then give it a little stir and bring it to a simmer on the hob. Then transfer to an oven proof dish with a lid. I have a couple of Le Creuset casserole dishes that are perfect, but anything ovenproof will be fine. Then I just leave it in the oven for a couple of hours on around 150 degrees C and then serve with rice and warm pita bread. 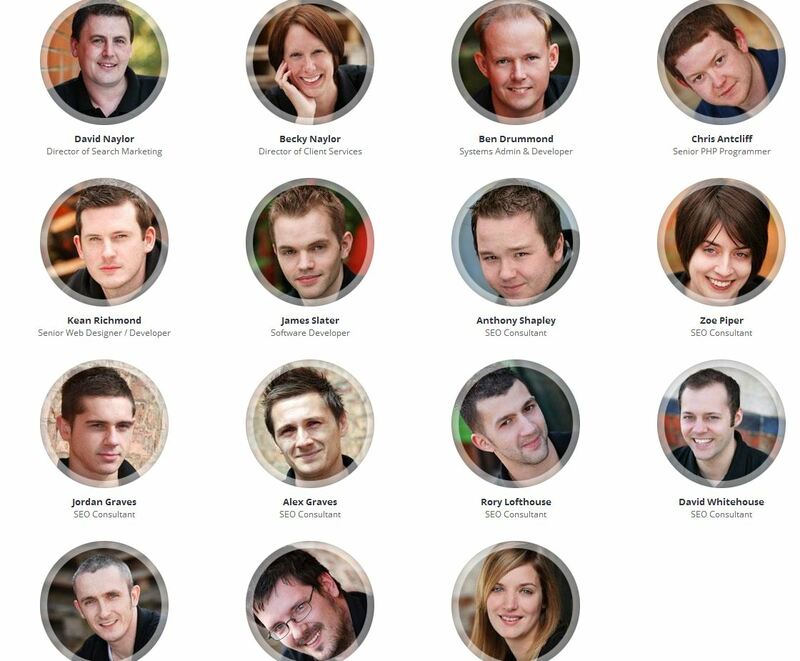 We brought in Morgan Photography who did our original pictures, but this time we had a different brief for them. Kean took the role of “creative director” to make sure that the pictures that we had taken were of a similar style but were kept unique to each person. 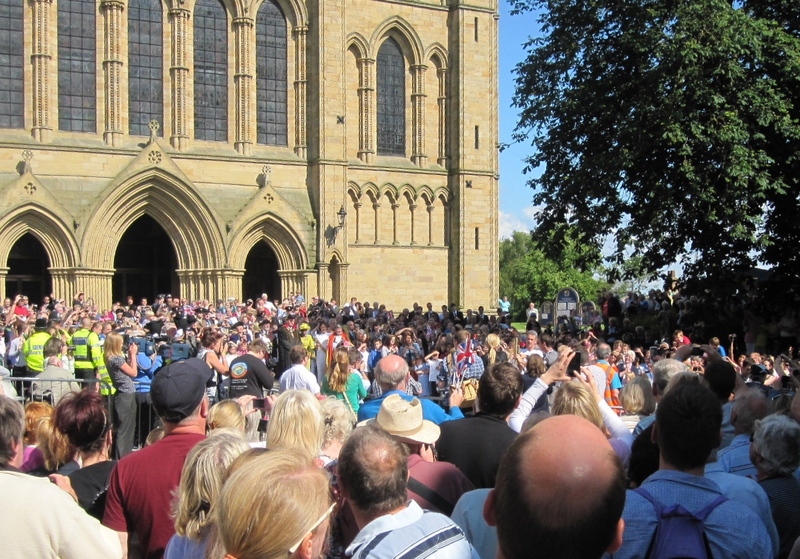 When the route for the Olympic Torch was announced earlier on in the year and Ripon was on the list, I wasn’t too bothered, but the excitement or should I say anticipation started to increase. 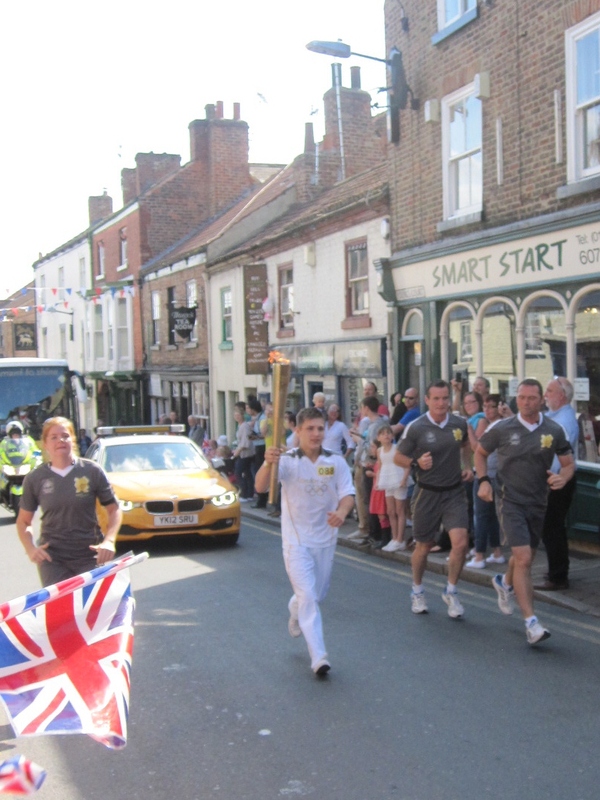 Today we have been in the office watching the live feed and getting ready to watch the Olympic Torch coming through Ripon. I had to dash out of the office to meet the kids from school and then find a good vantage point, while the guys from the office made their way up to the Cathedral a bit later on. We were waiting for about half an hour and when the roads had been closed the crowds swelled and there was a steady flow of police bikes and police cars. 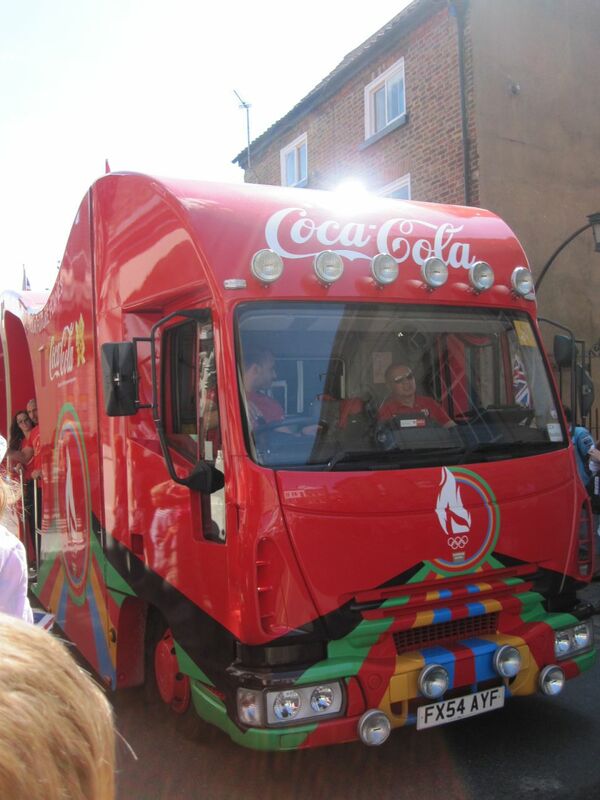 The party atmosphere started when the sponsor floats came past with loud music and a countdown for when the torch would arrive. 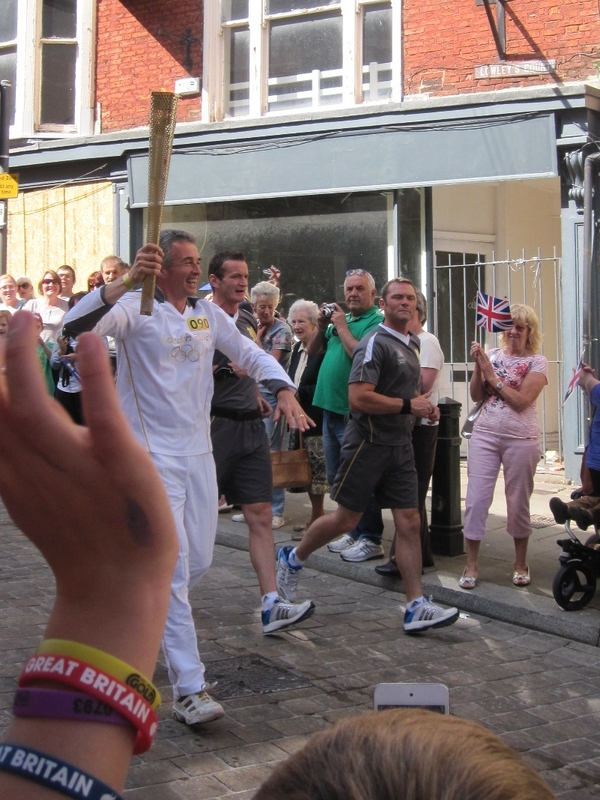 Then we saw the torch which was pretty impressive.. It was well worth going to see, and now we’re looking forward to going to see Brazil vs New Zealand play football in the Olympics. 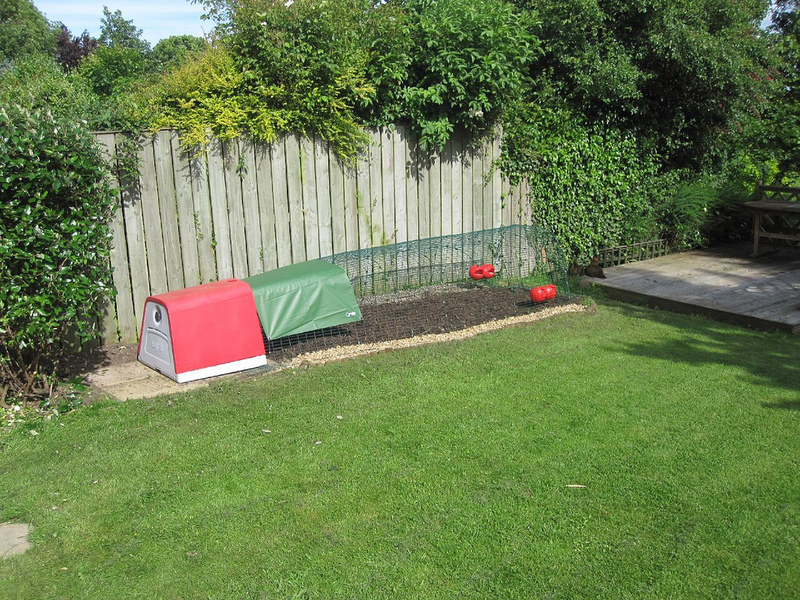 Following this week’s disaster of losing one our hens to a fox attack, this weekend’s task was to redevelop the chicken enclosure to give them a bigger run so that they have more space for when they are locked up more often. We are still letting the hens out during the day, but not letting them out until we are up in the morning, and locking the run at night. 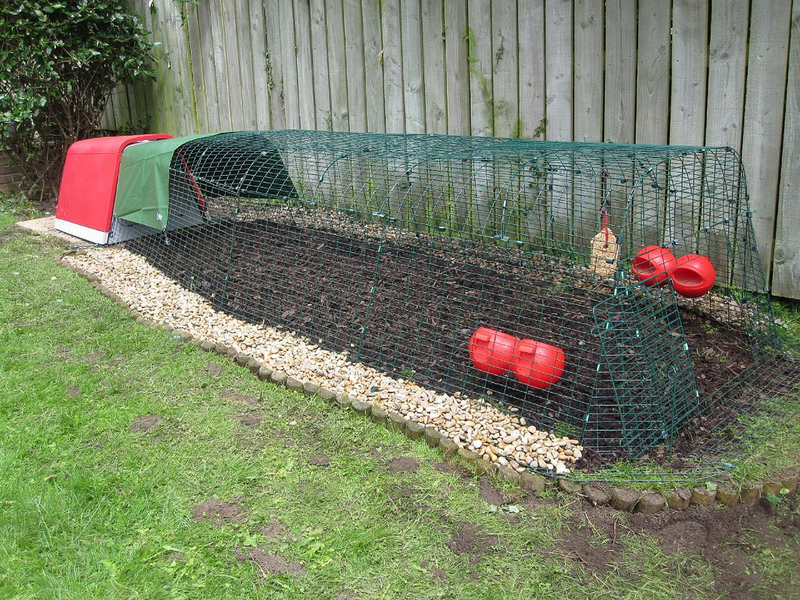 Foxes generally attack at dawn or dusk so throughout the daytime they should be safe in the garden. 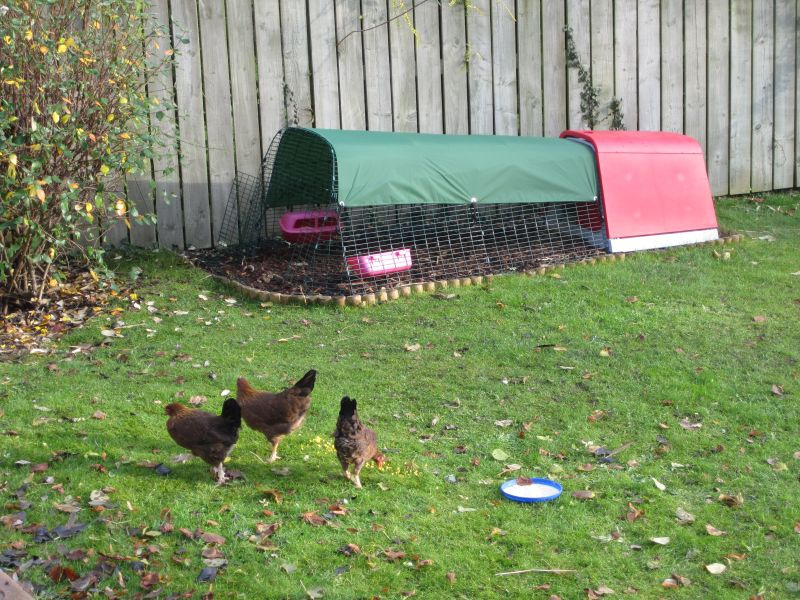 We have an Eglu Go from Omlet, which is a great hen house and run combination that is suitable to keep 2 chickens in all the time. But we just felt that the existing run didn’t give them enough freedom if we were to keep them in there all the time, for instance if we are away for the weekend. So we bought 2 run extensions for the Eglu which have increased the size of the run by 2 metres and now they have loads of space. This is what is was like before.. This shows the run with the winter cover on which was the full length of the run for those wet days. Today we have had to redevelop the area on the lawn, change the direction of the run, and because the lawn slopes off towards the deck we had to build up the ground so that the run was level. 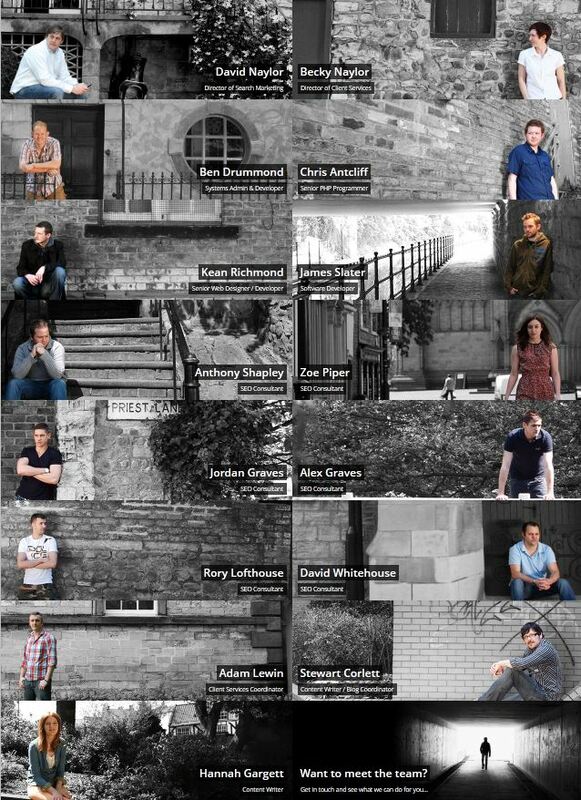 This is how it looks now .. Anyone with cats will know that it can be a real battle sometimes to give a tablet to a cat when they are needing them for one thing or another. They are very clever and even if you crush the tablet down and mix it in with their normal food they will suddenly turn their nose up at it. The last resort would be to wrap the cat in a towel or blanket and try to push the tablet in their mouth with the hope that they will swallow it, but it normally ends in a struggle, the tablet being spat out and a grumpy cat. 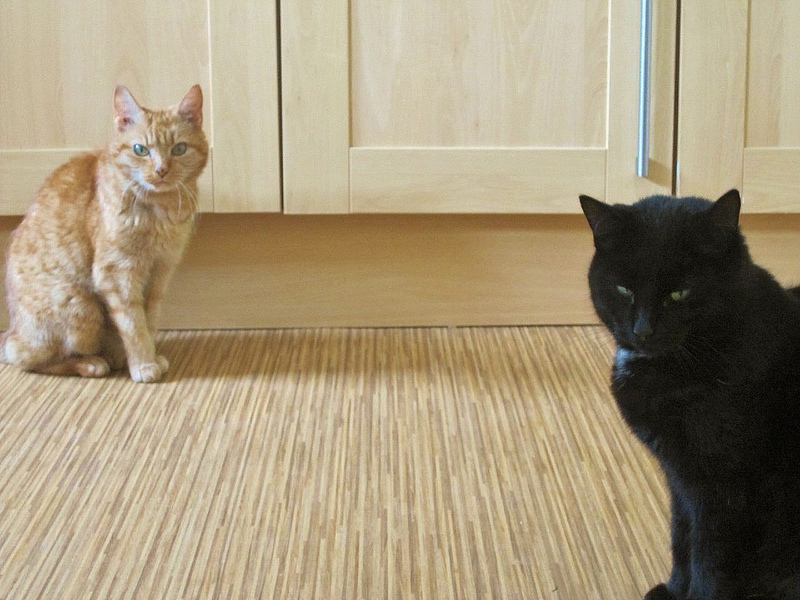 Cork on the left is 16, and has recently been having a few trips to the vet when she started going really skinny. It turned out that she had an overactive thyroid gland which is now being treated with daily tablets to stabalise her thyroxine levels. After 3 weeks on the pills she managed to put on 300 grams, which is a 10th of her body weight. Then there is Poppy, 6, on the right who has been coughing recently, then was struggling to breathe and ended up staying the night at the vets in an oxygen tent. Turns out she has an allergy to something (not sure what) but has been on antibiotics as well as steroids. 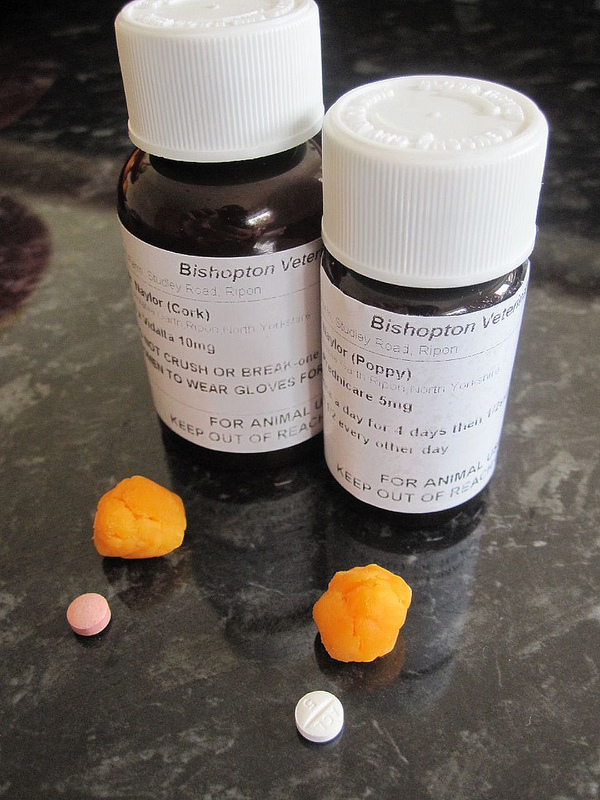 So this has given me 2 cats that are needing daily tablets and Poppy had some that were twice a day. The best way I have found to get the tablets into the cats without any fuss at all is CHEESE. If you’re having problems giving your cat their tablets give it a try.